Checking out the Gore Range on a newly powder-packed Vail Mountain (David O. Williams photo). A nice little blast of winter weather returned to the Vail Valley this week, providing powder days for lucky early- and mid-week skiers and a substantial coating of fresh snow for the last month of the season. The even better news is that it’s just a taste of what’s headed our way next week. Beaver Creek on Wednesday is reporting 10 inches of new snow in the last two days and 15 inches new in the last week. Vail is reporting 4 inches in the last two days and 8 inches in the last week, with a season total of exactly 250 inches. And, according to Opensnow.com, even more winter weather is on its way next week after a relatively dry end of the week and weekend. “A period of light snow will fall on most mountains during the day on Wednesday, and more light snow is possible on Saturday, though amounts should be limited to just an inch or less,” Opensnow.com meteorologist Joel Gratz wrote on Wednesday. That sounds very nice for snow riders starved of powder days by one of the driest Februaries on record. Still, there was so much snow in December and January that the settled bases at both mountains held up very well over the last month or warm, dry spring skiing. Now it looks like the winter weather pattern has shifted and we’ll finish the season strong. With an early Easter Sunday on March 27, Vail and Beaver Creek are both set to close relatively early this season, on the same day (Sunday, April 10). That leaves just about one month of in-bounds skiing in Eagle County. Some of my favorite events of the season are coming up, with the Taste of Vail set for March 30-April 3, the Vail Film Festival — which just announced its schedule — set for April 7-10, and Spring Back to Vail set for April 8-10. 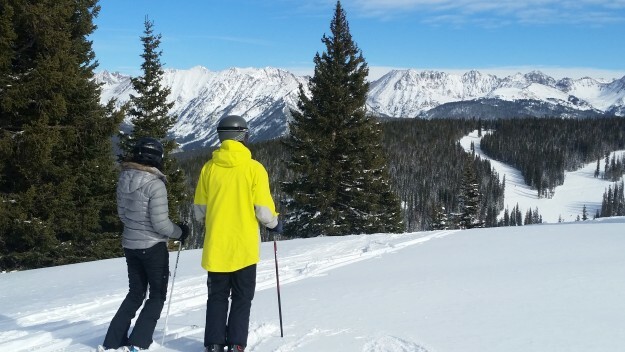 While spring break crowds are fairly large right now, they will start to dwindle toward the end of the month, and the last two weeks of the seasons can often offer some of the best skiing conditions and some of the best bargains on lodging and dining. Come check it all out.